At Scene Gym, we bring actors, writers, and directors together. We provide the platform and space for you to develop your talent and expand your network. 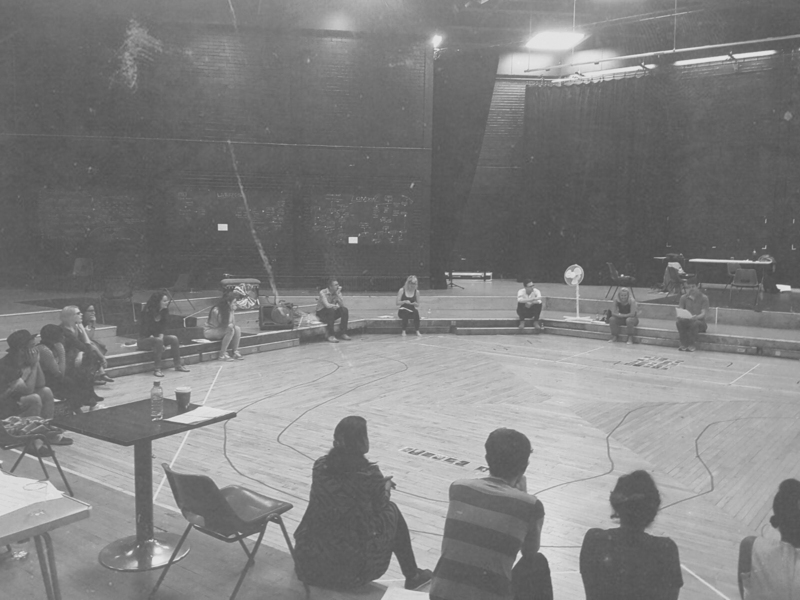 Scene Gym unites actors, writers and directors in an immersive way at the early stages of the creative process, to initiate future collaborations and develop new and exciting networks. By joining Scene Gym, you will not only have the chance to flex your creative muscles, but also be part of a diverse and inspiring community who meet on a regular basis to workshop scenes, with the ultimate goal of staging new pieces of theatre. All sessions have a practical focus and offer members a supportive environment within which to take risks, experiment with ideas and hone their skills. At the end of each session there is time dedicated to discussion, feedback and the sharing of ideas. Actors can get their teeth into a character and stage a scene with the support of both a writer and a director, before playing the scene back to the group. Directors have the opportunity to collaborate with a writer and group of actors to workshop a specific scene through their choice of exercises and techniques. Writers see scenes they have in development brought to life before them.